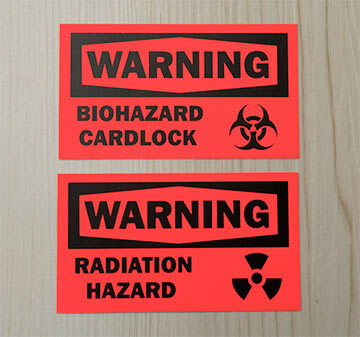 Safety & warning stickers call attention to potential hazards and dangers in the workplace and in equipment operation. 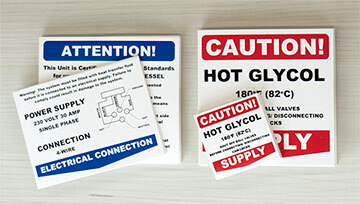 CanadaStickerKing.com produces standard and custom safety decals for industry and manufacturers. Browse our template selection for the most common messaages, or we can design custom artwork. Our standard safety and warning labels are made from a 3 mil permanent adhesive vinyl, with a 2 mil gloss or matte laminate. These have a 4-5 year exterior longevity for UV resistance, and are waterproof. Certain materials, such as stainless steel and low surface energy (LSE) plastics require a high tac vinyl option. 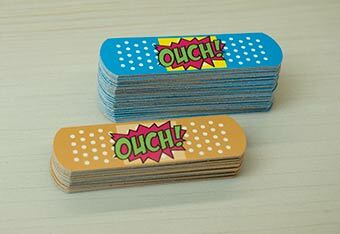 We also have laminate options, such as Emerytex, for greater abrasion & chemical resistance if required.